Hen Do’s don’t need to be filled with weekends away, fancy dress, games or drinking. Sometimes your idea of a perfect hen do is a relaxing day being pampered with your nearest and dearest. Well, the new Lush Liverpool might be the place to go! The biggest Lush in the world has opened its doors in Liverpool, and boy is it a treat. You could get lost in there for hours greeted by a host of scents, sounds and experiences. Grab a brew, browse some music, pick a bunch of flowers – there’s so much more than just your typical Lush products. We were pretty excited when we got invited to the new store opening, we all love a bit of Lush here at The Liverpool Wedding Blog – Vicky our beauty expert loves everything, especially the body butters; Carol is partial to a bath bomb or two, and Lucy loves the shampoo bars – what’s your favourite product? When we say you could make a day of it, we’re not exaggerating. 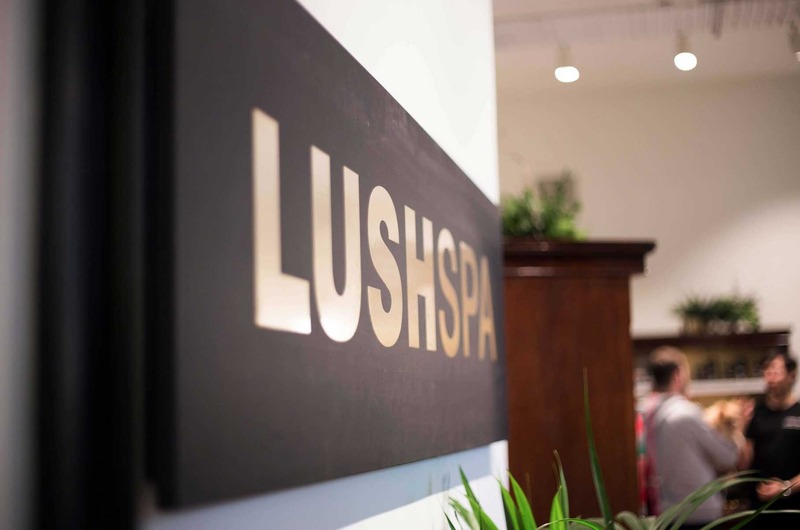 Lush Liverpool might be the perfect place to spend a relaxing pamper day with your favourite gal pals – a chilled out, relaxed hen do – what more could you want while wedding planning?! The Lush Spa is a beautifully tranquil place filled with a relaxed atmosphere and positive affirmations, it’s a great place for a small hen do. There’s a range of treatments rooms including a triple room so you and your pals can get pampered together. Relax in between your treatments in the lovely lounge areas. There’s a great selection of spa treatments starting from £65 – The Comforter Spa Treatment sounds divine with a hot chocolate body scrub! Your day doesn’t need to end there either! Planning a night out or a meal after the spa? Why not treat yourself in their hair bar too? Get a custom hair treatment and styling or even a cut or henna colouring if you fancy it! Choosing a special perfume for your wedding day can be a lovely way to reminisce for years to come – you’ll get taken back to the moment you say I do every time you smell it. The Perfume Library has a vast range of scents from Lush’s history. We’re sure you’ll find a signature scent perfect for you! Already got your hen do sorted? What about gifts? Bridesmaids, mums, sisters, friends – whoever it is in your wedding tribe helping you arrange the big day, it’s nice to treat them to a little something as a thank you. I’m a big lover of fabric (…fabric hoarder more like) so when I saw all the fabric gift wrap stations in Lush it made me giddy! And what better way to use gorgeous fabric than as wrapping paper! You can build the perfect selection of products for your gift and knot it up in whatever fabric you think your gal pals will love best! Have you visited Lush Liverpool yet?